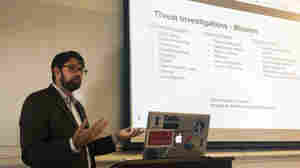 December 18, 2017  Major tech companies have been growing internal crime-fighting cyber teams, often staffing them with former law enforcement agents. NPR gets a look inside one of these units. 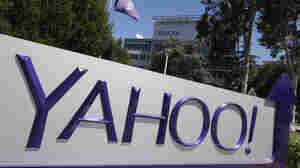 October 3, 2017  Yahoo says the massive hack, previously said to have affected 1 billion accounts, in fact likely compromised 3 billion accounts. However, the company says corrective actions have already been taken. June 13, 2017  Verizon has completed its $4.5 billion acquisition of Yahoo, folding it and AOL into a digital media subsidiary called Oath. Mayer is expected to receive a $23 million golden parachute as she exits. April 5, 2017  The digital content mashup of Internet oldsters will be led by Tim Armstrong, AOL's CEO. 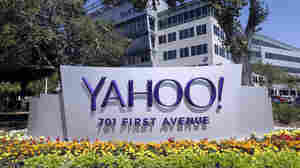 Though the Yahoo deal was widely panned, it gives Verizon a vast subscriber base appealing to advertisers. 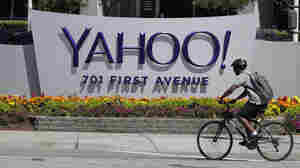 March 2, 2017  A probe by an independent board found that Yahoo senior executives failed to "properly comprehend or investigate" a 2014 security breach. There was a separate breach in 2013. January 10, 2017  If the $4.8 billion deal goes through, more than half of the company's current board members, including Yahoo's CEO, Marissa Mayer, will step down. December 14, 2016  The company says the intruders accessed names, email addresses, phone numbers, dates of birth and even security questions. 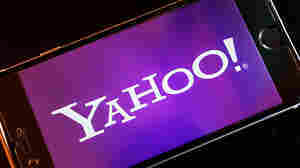 This is the second major hack announced by Yahoo in less than three months. September 22, 2016  Yahoo says 500 million user accounts may have been breached. Social media erupt in jokes. 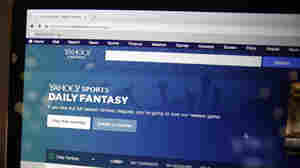 September 22, 2016  The company says its investigation suggests the stolen data doesn't include payment and bank account information. 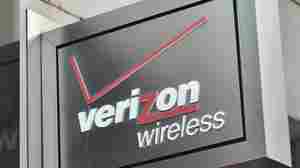 Verizon's Metamorphosis: Can You See Me As A Tech Giant Now? August 9, 2016  Verizon has transformed from a child of the Bell monopoly to parent of tech legends AOL and Yahoo. It wants to play with Google and Facebook — but don't expect a full transformation just yet. Is There A Double Standard When Female CEOs In Tech Stumble? August 3, 2016  Male CEOs fail all the time, but when someone like Yahoo's Marissa Mayer or Theranos' Elizabeth Holmes falls short of expectations it can feed stereotypes about women being unfit for leadership. August 1, 2016  The Internet pioneer Yahoo just had its core business auctioned off to Verizon. 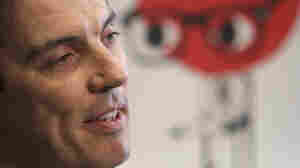 Mayer was hired four years ago to turn the company around. We look back at the critical early months of her tenure. The Big Internet Brands Of The '90s — Where Are They Now? July 25, 2016  Verizon's purchase of Yahoo will close the book on one of the oldest Internet companies. 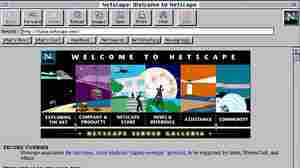 What happened to the other famous '90s brands, like GeoCities, Netscape and CompuServe? A nerdy remembrance. 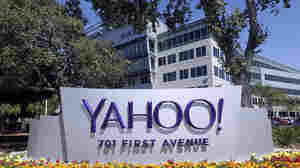 July 24, 2016  While Yahoo will keep its most valuable assets, the $4.8-billion sale effectively disbands Yahoo as one of the longest-running Internet companies.